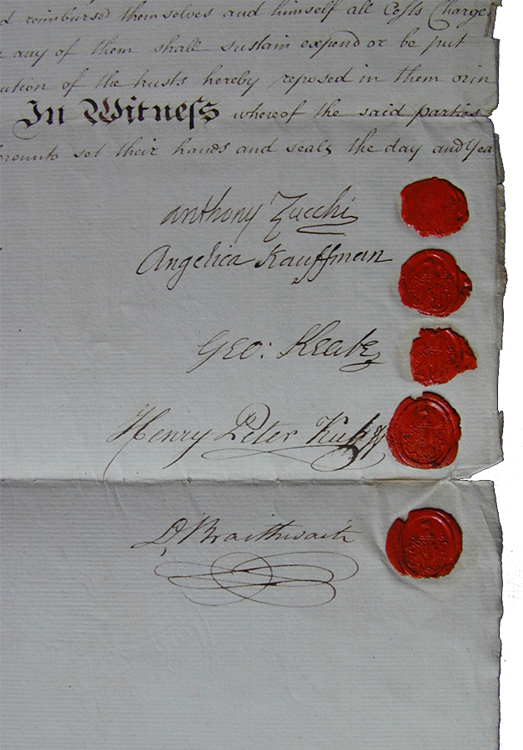 The AKRP has at its disposal comprehensive documentation of these and other archives by and about Angelica Kauffman. 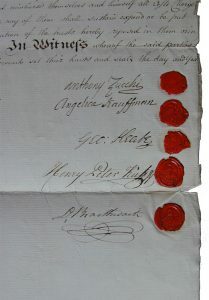 The material includes academy diplomas, the marriage contract, price lists, letters from, to and about the artist, the marriage certificate, wills, etc. A selection of these writings and documents are presently being catalogued by Gabriele Ewenz in collaboration with Bettina Baumgärtel, transcribed into legible text, and annotated. The publication of the source corpus is forthcoming. 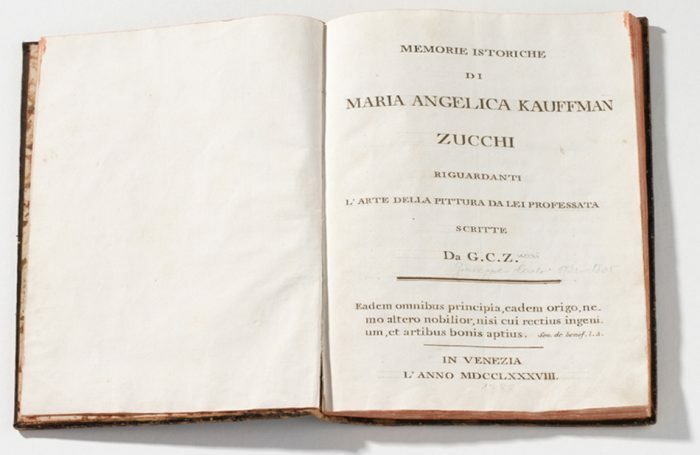 This is the first biography written during the artist’s lifetime; it differs in part from G. G de Rossi of 1810/11. It was first assessed in 1998 in the catalogue accompanying the Angelica Kauffman retrospective; in 1999 it was published by H. Swozilek. A list of paintings drawn up by Antonio Zucchi between December 1781 andn 1798, supplemented by the artist herself. According to the present state of research, the English translation by Donna Stella Vintelleschi “Memorandum of Paintings” (in Manners & Williamson 1924) is considerably in need of correcdtion. Carlo Knight submitted the Italian transcription, published by the Accademia Nazionale di San Luca in Rome in 1998. On this subject, see Wendy W. Roworth: “Angelica Kauffman´s ‘Memorandum of Paintings’”, in: Burlington Magazine, 126, 1984, pp. 629-30. 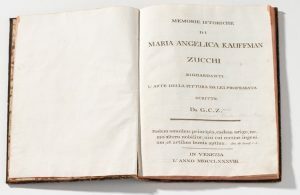 Famous contemporaries mentioned Angelica Kauffman in letters, diaries, travel accounts and memoirs, among others Anna Amalia von Sachsen-Weimar, Katharina P. Bariatinskaja, geb. Holstein-Beck, Fanny Burney, Friederike Brun, Joseph Farington, Heinrich Füssli, Joahnn Gerning, Salomon Gessner, Luise E. von Göchhausen, Johann Wolfgang von Goethe, Johann Gottfried Herder und Caroline Herder, George Keate, Friedrich Gottlieb Klopstock, August von Kotzebue, Louise Fürstin von Anhalt-Dessau, Friedrich von Matthisson, Johann Heinrich Meyer, Friedrich Müller, gen. Maler Müller, Elisabeth von der Recke, Friedrich Leopold Graf zu Stolberg-Stolberg, Luise Gräfin zu Stolberg-Stolberg, Heinrich Peter Helferich Sturz, Elisabeth Vigée-Lebrun, Horace Walpole, Jean Gaspard Weiss, Johann Joachim Winckelmann and many others.